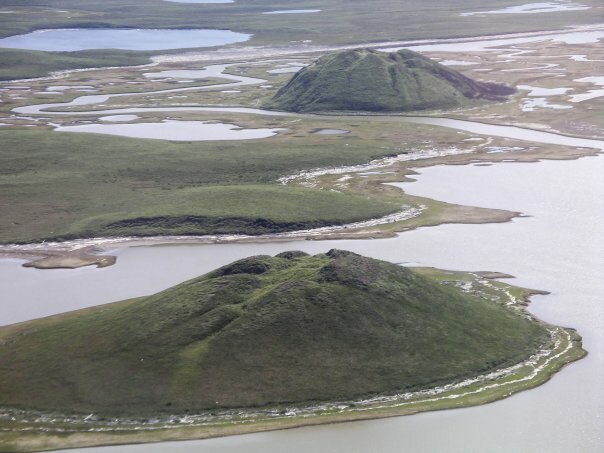 The gradual melting of the ancient permafrost in Siberia is causing huge problems in the area. Giant blow-out craters are appearing everywhere and are threatening roads, people, and production facilities. 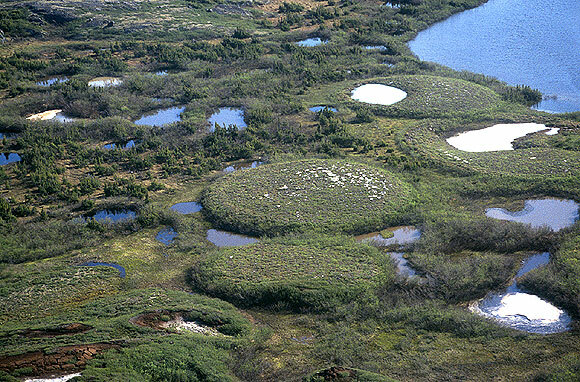 There have been to date 150 geological features on Yamal peninsula that have been attributed to these blow-out craters. The craters are not small; they are deep and wide, the Yamal Crater being approximately 50 meters deep and 26 meters wide. As the permafrost melts, it causes ground that used to be rock hard to start bubbling and trembling with the escaping methane and carbon dioxide that had been trapped in the frozen ground. Quick-forming ravines and landslides are also being created as this normally stable, gas-rich Arctic area starts to change. On Bely Island there are areas where the ground is swaying. Upon investigation, it has been discovered these areas have a grass layer on top of the water, through which methane and carbon dioxide is bubbling through. The scientists in Yamal are working hard to determine not only the extent of the damage but also how much ice is left to melt in these areas. The scale of the developing disaster is going to be widespread, not just from the physical changes happening to the land but also concerning how much gas will be left available for harvest. 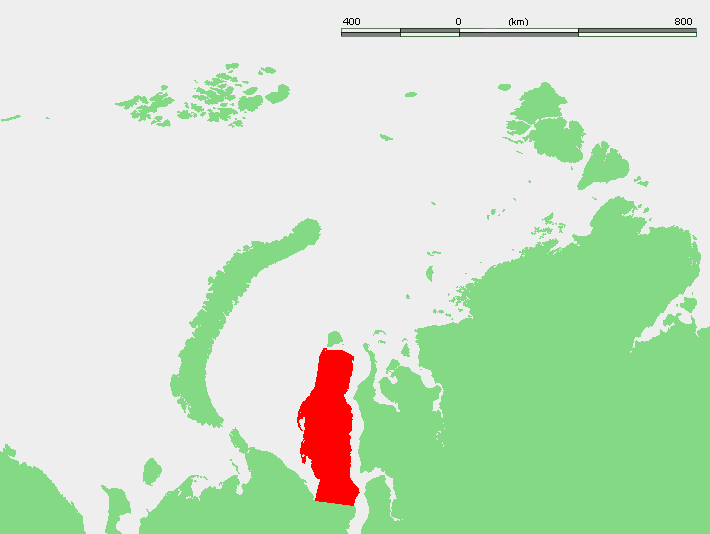 The Yamal peninsula gas fields supply Western Europe with much-needed energy. It seems quite likely that some of the facilities out on the peninsula will be damaged as even now a major blow hole has appeared within 30 miles of one of the facilities. Scientists have developed groundbreaking methods, using electron tomography to create 3D models of dangerous areas to predict the speed and direction of their development. Scientists believe that the blow-holes are formed by pingos, which are large dome-shaped mounds over a core of ice. As the permafrost melts it explodes due to the build-up of methane gas underneath. The locals on the Taimyr Peninsula believe a new local lake was formed from one of these explosions, and since the crater’s appearance it has grown 15 times larger. Other than monitor and try and predict where they are going to form, there is no way to stop the craters from forming. It is simple science – the area has grown warmer over time, and the permafrost is melting. The rapidly released methane is creating a serious feedback loop in the region; as methane is a greenhouse gas it is driving the temperatures higher, and in turn melting more permafrost and releasing yet more methane.